The McGowan Institute for Regenerative Medicine held its 2017 Scientific Retreat on March 5-7, 2017. The retreat provided many opportunities to explore collaborative endeavors with other researchers, participating guests, and external partners who are working to bring regenerative medicine technologies to clinical use. The 2017 Retreat program included technical and strategic planning sessions. The program was designed to facilitate insightful discussions and to identify opportunities for partnerships and new initiatives. The Keynote Lecture was presented by McGowan affiliated faculty member Dietrich Stephan, PhD, Professor and Chairman of the Department of Human Genetics at the University of Pittsburgh. 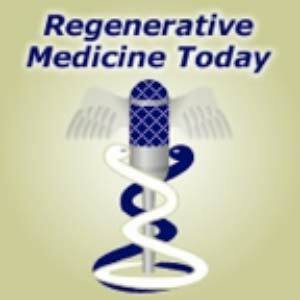 Dr. Stephan shared his vision on the interface between personalized and regenerative medicine. The Retreat included numerous general sessions throughout the 3-day event with a focus on these research and/or strategic planning areas: Craniofacial/Craniomaxillofacial, Cardiovascular, Manufacturing, NSF-ERC for Revolutionizing Metallic Biomaterials, DOD Needs, Pediatric, Wound Healing, Burns, Cell Therapy, and Vision & Hearing. Several trainee sessions were organized by Satdarshan (Paul) Singh Monga, MD, Andrew W. Duncan, PhD, and Kacey G. Marra, PhD. A special session on “Clinical Outcomes” was moderated by McGowan Institute faculty member Charles Sfeir, DDS, PhD, Associate Dean of Research in the University of Pittsburgh School of Dental Medicine, and presented by McGowan Institute faculty member Bernard Costello, MD, DMD, FACS, Professor, the Chief/Division of Craniofacial and Cleft Surgery, and the Fellowship Program Director, in the Department of Oral and Maxillofacial Surgery, University of Pittsburgh. The poster session prizes were sponsored by sciVelo; the prizes were: first place ($200), second place ($125), and third place ($75). The CATER prizes were: first place ($200), second place ($125), and third place ($75). A special thank you is extended to all who made this year’s Retreat a success! See the full Retreat Program here. April Showers mean big savings at the McGowan Histology Core Lab. I would like to thank everyone who visited the Histology booth at the McGowan Retreat this year. It was so fun to meet fans of our work, and hopefully we will see a few new faces around the lab this year! Herovici stain is used to differentiate young and mature collagen as well as identify reticulum fibers within tissue. Herovici’s solution stains young collagen and reticulum blue and mature collagen red while providing a yellow cytoplasm counterstain. Nuclei are stained blue to black with Weigert’s Hematoxylin. You’ll receive 25% off Herovici Staining for the entire month of April when you mention this ad. Contact Lori at the McGowan Core Histology Lab and ask about our staining specials by email or call 412-624-5265. As always, you will receive the highest quality histology in the quickest turn-around time. Did you know the more samples you submit to the histology lab the less you pay per sample? Contact Lori to find out how! Evan Delgado, PhD, is a post-doctoral researcher in the laboratory of McGowan Institute for Regenerative Medicine faculty member Andrew Duncan, PhD, Assistant Professor in the Department of Pathology at the University of Pittsburgh. He has been a member of the McGowan Institute for 2 years. His research specifically focuses on the dynamics of polyploidy in hepatocytes and how this relates to tumorigenesis. Dr. Delgado shares his experience with the Flow Cytometry Facility and how it helped his research. The work in our lab focuses on a phenomenon in liver cells, hepatocytes, called polyploidy. Polyploidy refers to alterations in the number of complete chromosome sets within a cell. Normally, a cell is diploid and contains two sets of chromosomes. Hepatocytes are unique because they are capable of increasing the number of whole chromosome sets while maintaining a homeostatic biology. Sometimes, we can observe hepatocytes with 4, 8, 16, or higher copies of chromosome sets. This occurs when the cell begins to divide, but a failure in cytokinesis forces the cell to not divide even though it has already replicated its DNA. Even though hepatocytes can be completely normal while containing an extraordinarily high amount of DNA content, we do not know if the DNA copy number is reflective of gene expression within the individual cells. This is important because gene expression relative to polyploidy can explain differential hepatocyte function observed in vivo. To answer this question, we isolated hepatocytes from mice and utilized flow cytometry to identify hepatocytes based on DNA content. 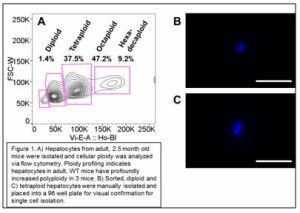 Flow cytometry is a crucial part of our approach because it allows us to identify these differential hepatocyte populations with diploid (2c), tetraploid (4c), octaploid (8c), etc., copies of DNA according to Hoechst intensity (Figure 1A). We are then able to sort these hepatocyte populations into extremely pure sub-fractions with respect to DNA content. Using these sorted hepatocytes, we are able to conduct further downstream gene expression analyses on single cells which are manually isolated under a microscope (Figure 1B, C). The flow cytometry core facilities provided us with tools critical to our successful isolation of pure hepatocyte populations containing 2 or 4 copies of chromosomes in single cell suspensions. Together, this will enable us to interrogate whether differential gene expression patterns exist between populations of hepatocytes containing varied copies of chromosomes. Do you have a research project that may benefit from Flow Cytometry analysis or sorting? Contact the facility’s manager, Lynda Guzik, for more information. The University of Pittsburgh School of Dental Medicine received an $11.7 million grant from the National Institute of Dental and Craniofacial Research (NIDCR) to establish a resource center dedicated to advancing therapies for regenerating damaged dental, oral, and craniofacial tissues. 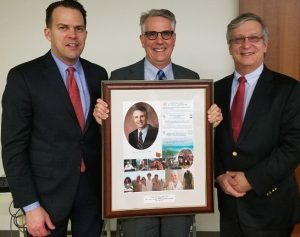 Officially named the Michigan-Pittsburgh-Wyss Resource Center: Supporting Regenerative Medicine in Dental, Oral, and Craniofacial Technologies, Pitt established the center in partnership with the University of Michigan and Harvard University as part of the NIDCR’s Dental, Oral, and Craniofacial Tissue Regeneration Consortium (DOCTRC). The goal of the consortium is to guide new therapies from the research stages through preclinical studies and into human clinical trials. Pitt, Michigan, and Harvard researchers joined forces during an initial year-long organizational phase funded by an NIDCR planning grant. The current award provides funding for a second 3-year phase, which will consist of researchers evaluating projects based on their clinical and commercial viability. The resource center will then match selected projects with the clinical, scientific, industrial, and regulatory expertise necessary to more efficiently translate the research into clinical trials and eventually clinical practice. The University of Pittsburgh is uniquely positioned as a leading tissue regeneration hub with a proven record of translating tissue engineering therapies. In addition, the integration between the Center for Craniofacial Regeneration and the McGowan Institute for Regenerative Medicine provides outstanding expertise in regenerating dental and oral cranial tissues. Drs. Sfeir and Wagner are the principal investigators at the resource center in Pittsburgh. David Kohn, PhD, and William Giannobile, DDS, from Michigan; and David Mooney, PhD, from Harvard, will serve as principal investigators at their universities. In addition to Pitt’s resource center, a second center based at the University of California, San Francisco, also received funding from DOCTRC. Total NIH funding for both resource centers amounts to $24 million over 3 years. The promise of exoskeleton technology that would allow individuals with motor impairment to walk has been a challenge for decades. A major difficulty to overcome is that even though a patient is unable to control leg muscles, a powered exoskeleton could still cause muscle fatigue and potential injury. However, an award from the National Science Foundation’s Cyber-Physical Systems (CPS) program will enable researchers at the University of Pittsburgh to develop an ultrasound sensor system at the heart of a hybrid exoskeleton that utilizes both electrical nerve stimulation and external motors. To overcome the low signal-to-noise ratio of traditional EMG, Dr. Sharma partnered with Dr. Kim, whose research in ultrasound focuses on analyzing muscle fatigue. Capitalizing on previous studies in self-powered chemo-mechanical movement, researchers at the University of Pittsburgh’s Swanson School of Engineering and Penn State University’s Department of Chemistry have developed a novel method of transporting particles that utilizes chemical reactions to drive fluid flow within microfluidic devices. Their research, “Harnessing catalytic pumps for directional delivery of microparticles in microchambers,” was published recently in the journal, Nature Communications. The computational modeling research was led by McGowan Institute for Regenerative Medicine affiliated faculty member Anna Balazs, PhD, Distinguished Professor of Chemical and Petroleum Engineering at Pitt, with post-doctoral associates Oleg E. Shklyaev, PhD, and Henry Shum, PhD. Experiments at Penn State were conducted by Ayusman Sen, PhD, Distinguished Professor of Chemistry and graduate students S. Das, A. Altemose, I.Ortiz-Rivera, and L. Valdez. Their combined theoretical and experimental findings could enable controllable transport of particles and cells, allowing highly sensitive chemical assays to be performed more rapidly and efficiently. Dr. Balazs noted that in addition to successfully delivering the particles, the other challenges the researchers faced were maintaining unidirectional flow from point A to point B within a closed chamber, and ensuring that a critical concentration of these particles could be delivered to sensors, which only operate above a critical threshold. The solution was to generate a gradient of a chemical reagent by introducing the reagent at one end of the chamber, point A. Enzymes on the surface of the chamber consumed the reagent so that it was completely depleted at the point B. Since the presence of the reagent increases the fluid density, a density gradient was established between points A and B, leading to convective flow that transported particles like a conveyor belt. Mark Slaughter, MD was the McGowan Institute’s 2017 Distinguished Lecturer. His lecture on March 23rd was titled “Future Role of MCS in the Treatment of Advanced Heart Failure.” Through the application of mechanical circulatory support, Dr. Slaughter’s aim is to offer individuals with heart failure an alternative to heart transplantation, repairing hearts and helping them recover naturally. Collaborative efforts between clinicians, engineers and basic scientists will yield solutions to diminish the fatal effects of advanced heart failure. Dr. 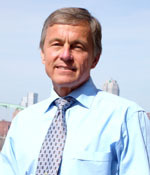 Slaughter is the Professor and Chair in the Department Cardiovascular and Thoracic Surgery at the University of Louisville School of Medicine. He is also the director of the Heart Transplant and Mechanical Assist Device program at Jewish Hospital & St. Mary’s HealthCare. Dr. Kormos reviewed the progress that has been made over the last 30 years in mechanical circulatory support devices and systems. While significant progress is apparent-especially in the reduced size of pumps and controllers, as well as the reliability of devices and systems, there still are issues such as infections (especially in the drive line), biocompatibility and bearing failure that need to be addressed. Dr. Kormos noted the key role that Family House has played in helping patients who are on circulatory support being able to leave the hospital. In the early days of the program, Family House was the only allowable destination outside of the hospital while a patient was on circulatory support; today many patients can return to their homes with their implanted device, after sufficient recuperation. Dr. Kormos highlighted the key role that the UPMC clinical team and the McGowan scientists and engineers have played in the advancement of circulatory support technology. As an example, the most widely used ventricular assist device used today, which employs a rotary pump, was developed here in partnership with a commercial partner. Dr. Kormos did the first implantation of the device in 2000 in Tel Aviv Israel. He discussed the migration over the years from pulsatile devices, to rotary (non-pulsatile) pumps, and the recent introduction of prototype rotary pump designs that also have a pulsatile component to the flow. He shared the opinion that a pulsatile flow is beneficial. The key role of the INTERMACS Registry (Interagency Registry for Mechanically Assisted Circulatory Support) was noted. INTERMACS is a North American national registry for mechanical circulatory support devices (MCSDs) that are used to treat advanced heart failure. Dr. Kormos played a key role in the establishment of the registry. The multidisciplinary approach that was created here—a combination of physicians and engineers—has led to the formation of Procirca, Inc. that supports circulatory support cases here and at other hospitals nationally and internationally. The UPMC mechanical circulatory support program has done nearly 1,100 implants (~1,000 adults and 63 pediatric cases). While the primary application for circulatory support is to serve as a “bridge to a heart transplant”, today about 10% of the cases are “destination therapy”. There have been 21 cases of a “bridge to recovery” where the device is used to give a sick heart a rest, and when the heart recovers the pump is removed. While significant progress has been made in understanding and utilizing engineering and biology to treat a sick heart, much remains to be done in both sectors. 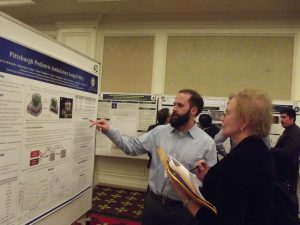 Christopher Mahoney is a 4th year doctoral candidate in the Bioengineering Department at the Swanson School of Engineering and works in the laboratory of McGowan Institute for Regenerative Medicine faculty member Kacey Marra, PhD, Associate Professor in the Departments of Plastic Surgery in the School of Medicine and Bioengineering in the School of Engineering at the University of Pittsburgh and also the Director of the Plastic Surgery Research Laboratory in the Department of Plastic Surgery in Pitt’s School of Medicine. 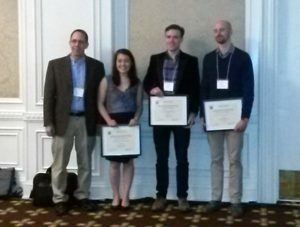 Mr. Mahoney is the awardee a Predoctoral Individual National Research Service Award Fellowship from the National Institutes of Health. The purpose of this program is to enhance the diversity of the health-related research workforce by supporting the research training of pre-doctoral students from population groups that have been shown to be underrepresented in the biomedical, behavioral, or clinical research workforce. The proposed mentored research training is expected to clearly enhance the individual’s potential to develop into a productive, independent research scientist. Puneeth Shridhar, MD, MS, is a student in the Medical Device Manufacturing Laboratory of McGowan Institute for Regenerative Medicine affiliated faculty member Youngjae Chun, PhD, Assistant Professor, Department of Industrial Engineering, Swanson School of Engineering, with a secondary appointment in the Department of Bioengineering at the University of Pittsburgh. Dr. Shridhar’s paper entitled, The Rescue Stent for Non-Compressible Traumatic Hemorrhage, was nominated as an outstanding contribution to the Society for Biomaterials 2017 Annual Meeting. The Education and Professional Development Committee of the Society has awarded Dr. Shridhar with an Honorable Mention STAR (Student Travel Achievement Recognition). Dr. Shridhar’s work is focused on developing a novel stent to manage firearm trauma happening in battlefield and the civilian environment. The medical device will help to achieve a 4-minute large vessel hemorrhage control at the trauma site versus a 20-minute timeframe which currently involves patient transport to a hybrid operating room. The device not only disrupts life threatening bleeding but also allows continued perfusion of organs. Recently, Dr. Chun, along with McGowan Institute faculty member Bryan Tillman, MD, PhD, Assistant Professor in the Division of Vascular Surgery at University of Pittsburgh Medical Center, Sung Kwon Cho, PhD, and William Clark, PhD, received $2.5 million grant in funds from the U.S. Department of Defense to develop the technology. This year’s theme for Society for Biomaterials is Where Materials Meet Medicine. Major themes for 2017 included are translation, 3D printing, cells, drug discovery, immune response, and regulatory issues. The STAR recognizes research excellence and develops future leaders within the Society. 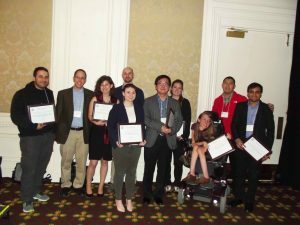 The Society for Biomaterials’ award program seeks to recognize significant contributions to the field of biomaterials science from industry, academia, regulatory agencies, and students. University of Pittsburgh’s School of Health and Rehabilitation Sciences (SHRS) recently appointed McGowan Institute for Regenerative Medicine affiliated faculty member Rory Cooper, PhD, as its Associate Dean for Inclusion. Dr. Cooper, Distinguished Professor and FISA/Paralyzed Veterans of America Chair of the Department of Rehabilitation Science and Technology, also is Director of the Human Engineering Research Laboratories. 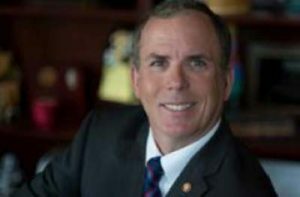 Dr. Cooper has 20 patents awarded or pending, has authored or co-authored over 300 peer-reviewed journal publications, and has co-authored two books and co-edited three others including Care of the Combat Amputee. 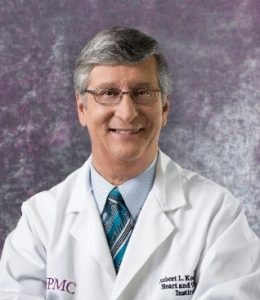 BioAegis Therapeutics Inc., a privately held biotechnology company exploiting plasma gelsolin’s (pGSN) role in immune function, announced that it has expanded its clinical advisory board to include McGowan Institute for Regenerative Medicine affiliated faculty member John Kellum, MD. Dr. Kellum is a Professor in the Departments of Critical Care Medicine (primary), Medicine, Bioengineering, and Clinical and Translational Science at the University of Pittsburgh. 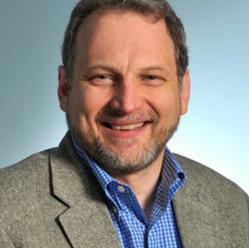 He is the Director of the Center for Critical Care Nephrology and the Vice-Chair for Research, both appointments in the Department of Critical Care Medicine, and Associate Director for Acute Illness in the Institute for Personalized Medicine at Pitt. 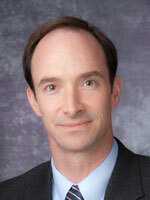 Dr. Kellum also serves as an Intensivist in the Cardiothoracic ICU at UPMC. Dr. Kellum’s research interests span various aspects of Critical Care Medicine, but center in critical care nephrology (including acid-base, and renal replacement therapy), sepsis and multi-organ failure (including blood purification), and clinical epidemiology. His research has received continuous funding from the National Institutes of Health since 2001, and he has active funding from multiple different NIH Institutes. Dr. Kellum has authored more than 300 publications and has also edited several major textbooks including Critical Care Nephrology and Stewart’s Textbook of Acid-Base. McGowan Institute for Regenerative Medicine affiliated faculty member Mark Richardson, MD, PhD, assistant professor of neurological surgery at the University of Pittsburgh School of Medicine and director of Epilepsy and Movement Disorders Surgery at UPMC, has been named to the board of directors of the Parkinson Foundation of Western Pennsylvania. Parkinson’s disease is a brain disorder that leads to symptoms that include shaking and difficulty with walking, movement, and coordination. Richardson is a neurosurgeon-neuroscientist who specializes in the use of Deep Brain Stimulation (DBS) and gene therapy for movement dysfunctions commonly seen in patients with Parkinson’s disease. Dr. Richardson started the interventional-MRI DBS program at UPMC, which involves a new method of performing DBS inside an MRI scanner while the patient is under anesthesia. This allows the surgeon to see real-time images of the brain that help guide the placement of the electrodes that are implanted in the area of the brain responsible for abnormal movement. In February 2016, Dr. Richardson and his colleagues began testing the use of gene therapy to relieve the symptoms of tremor and mobility impairment in patients with Parkinson’s disease as part of a clinical trial. The technique shows promise in prolonging the effectiveness of levo-dopa, the mainstay treatment for the progressive neurodegenerative condition, by increasing production of a key enzyme essential to convert the drug into the neurotransmitter dopamine. More recently, he was awarded a 3-year $3.3 million grant by the National Institutes of Health (NIH) to lead a multi-institutional research study to understand how speech is controlled in the brain. The study was funded as part of the NIH’s BRAIN Initiative launched by former President Barack Obama as a large-scale effort to understand the brain and apply the knowledge to treating a variety brain disorders. 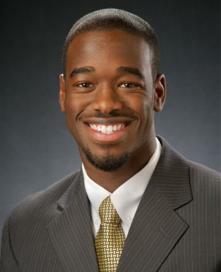 Dr. Richardson received his undergraduate education at the University of Virginia. 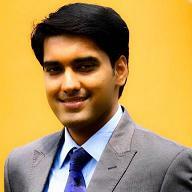 He completed his medical and doctoral education in the MD/PhD program at the Medical College of Virginia. Prior to joining the faculty at Pitt in 2011, Dr. Richardson completed his neurosurgical residency at the University of California, San Francisco, where he received specialized training in epilepsy neurosurgery, DBS, and brain mapping during awake craniotomies, and was awarded a NIH National Research Service Award to study gene therapy for Parkinson’s disease. #169 –– Dr. Howard Edington is the System Chairman, Department of Surgery, and the Chief of Surgical Oncology at West Penn Allegheny Health System, in Pittsburgh. 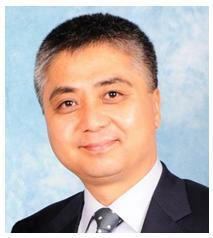 He is also a Professor of Surgery at Temple University School of Medicine and Drexel University School of Medicine. He is also an adjunct Professor of Biomedical Engineering at Carnegie Mellon University. Dr. Edington discusses his research in tissue engineering and skin cancer. 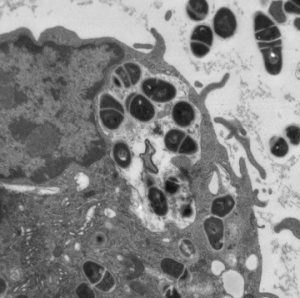 Mycobacterium tuberculosis being phagocytosed by a macrophage. Summary: Metastasis is the leading cause of cancer mortality. Extravasation of cancer cells is a critical step of metastasis. We report a novel proof-of-concept study that investigated whether non-toxic blood-soluble chemical agents capable of rheological modification of the near-vessel-wall blood flow can reduce extravasation of tumor cells and subsequent development of metastasis. Using an experimental metastasis model, we demonstrated that systemic administration of nanomolar concentrations of so-called drag-reducing polymer dramatically impeded extravasation and development of pulmonary metastasis of breast cancer cells in mice. This is the first proof-of-principle study to directly demonstrate physical/rheological, as opposed to chemical, way to prevent cancer cells from extravasation and developing metastasis and, thus, it opens the possibility of a new direction of adjuvant interventional approach in cancer. Source: Breast Cancer (Dove Med Press). 2017 Feb 24;9:61-65. eCollection 2017. Description: Abstract The translation of innovative tissue engineering/regenerative medicine (TE/RM) technologies requires a new approach to bring TE/RM in dental, oral and craniofacial (DOC) technologies to clinical practice. To meet this need, an integrated, multidisciplinary Resource Center (RC) has been established as a partnership between University of Michigan, the University of Pittsburgh/McGowan Institute, Harvard University/Wyss Institute for Biologically Inspired Engineering, and clinical and industrial experts. This RC, named the Michigan-Pittsburgh- Wyss Resource Center: Supporting Regenerative Medicine in Dental, Oral and Craniofacial Technologies (MPWRM TechDOC), consists of leaders with clinical, basic science, engineering and business expertise, and an infrastructure to support navigation through the regulatory process and clinical trials. The goal of this RC is to translate TE/RM innovations that address the ongoing clinical need to restore or create healthy, functional DOC tissues. Central to our proposal is the use of a unique academic-industry assessment model, assembly of an outstanding team of experts, and a menu of innovative DOC technologies that are heavily focused on craniomaxillofacial and dental therapies. The vision of this RC is that the most promising technologies in TE/RM will be catalyzed, nurtured and expedited through a novel academic partnership to safely and effectively regenerate, reconstruct and restore functional DOC tissues. To achieve this vision, we will: 1) Implement the organizational structure of the consortium to prioritize and de-risk TE/RM technologies for translation to clinical practice. Support teams, subject matter experts (SMEs), and partnerships coordinated during our Planning Grants will be empowered to provide integrated assessment and translational pathways. 2) Implement processes to select regenerative technologies to translate to clinical practice, by utilizing a unique academic-industry assessment approach that emulates the industry proven Stage-Gate© model; execute technology validation, and implement plans to facilitate cGLP/cGMP activities for FDA submissions. Upon completion of the Stage II grant, we will have implemented the RC structure and operations, and provided training and education for our stakeholders to translate DOC technologies utilizing sound scientific and engineering, business, regulatory, and manufacturing principles. In doing so, the MPWRM TechDOC will be poised to advance TE/RM technologies through the translational pipeline in Phase III, leading to a transformation of patient care in dental, oral and craniofacial medicine.